Give the gift of a thrilling, energy charged day of paintball with the best and biggest paintball company in the business. This is a gift that will be remembered for a lifetime. 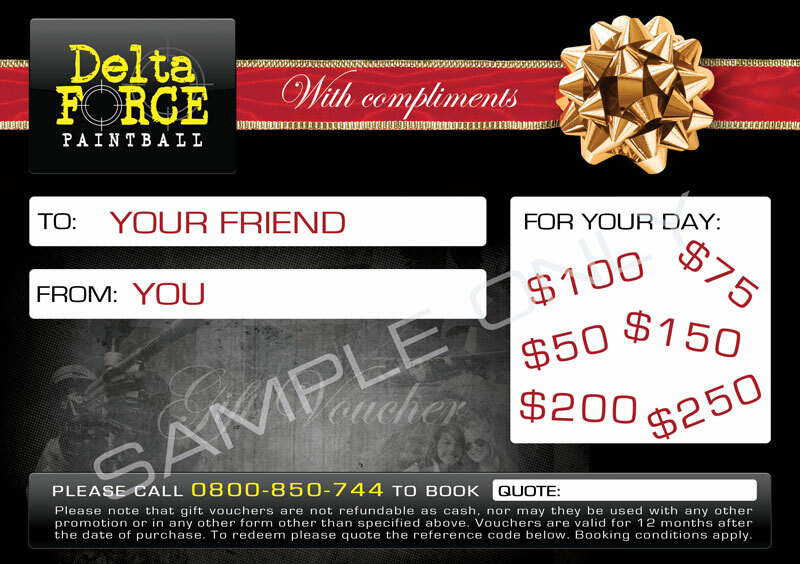 Below you can order our stylish gift voucher to the dollar value of your choice and give a gift that will live in the lucky recipient’s memory for many years to come. Just fill in the form below to receive a call back to tailor the voucher especially to your requirements.